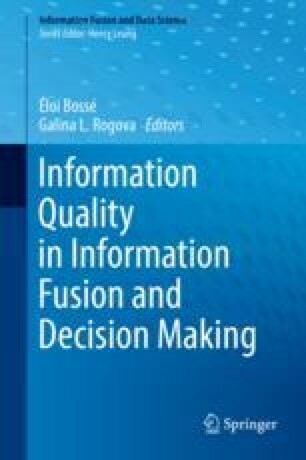 This chapter describes a methodology for adaptively incorporating reliability of information, provided by multiple sensors, to improve the quality of the data fusion result. The adaptivity is achieved by dynamically utilizing auxiliary information, comprising the measure of performance of each sensor or contextual information when it is available. A comparative study of the results obtained by using either source of auxiliary information for adaptivity is presented in this paper. The authors would like to thank Dr. Galina Rogova from the State University of New York at Buffalo for her helpful advice on various technical issues examined in this chapter.